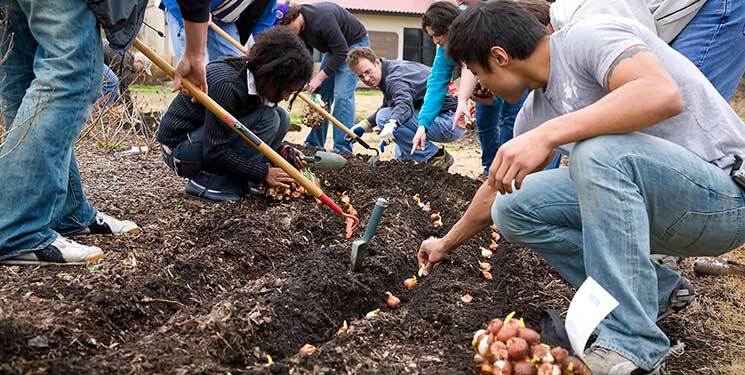 Students in the College of Agriculture plant tulip bulbs. Photo by Eddy Perez. Laura Lynne Smith was destined to be a teacher. She believed in education, was immeasurably creative, and received fulfillment from loving and nurturing children. Smith lost her battle with leukemia in 1988, but Naquin has ensured her name lives on in the college. Naquin worked in the college for nearly two decades, first as an associate professor and, more recently, as an adjunct professor. Naquin is leaving the college soon, and has found a new way to ensure Smith’s name lives on. “There was almost a connection we had while I was there, and I still want that connection for her, even though I won’t be there or can’t be there,” she said. Naquin, along with her daughter, Laura Blair, recently established the Laura Lynne Smith Memorial Scholarship. The endowed gift is a second chance for juniors in the College of Agriculture who have lost their TOPS funding.